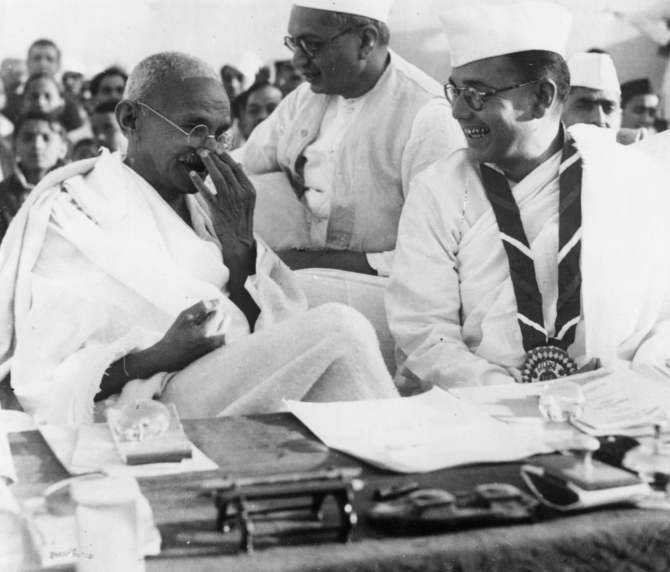 Mahatma Gandhi created confusion over the circumstances surrounding the death of Subhas Chandra Bose, a website set up here in the United Kingdom to chart the last days of Netaji has claimed. In January 1946, five months after the reported demise of Bose in a plane crash in Taiwan, the Father of the Nation said he believed Bose was alive and would appear at the right time. "Given Gandhi's iconic status, this created confusion in both Indian and British circles," www.bosefiles.info points out. However, in March the same year, Gandhi conceded in his 'Harijan' publication that it was just "instinct" that led him to believe Bose was alive. He wrote: "I appeal to everyone to forget what I have said and, believing in the evidence before them, to reconcile themselves to the fact that Netaji (Bose) has left us." On what would have been Bose's 50th birthday on January 23, 1947, Gandhi stated: "He had sacrificed a brilliant career for the sake of the country's service. "A lesser man would have succumbed under the trials that he went through; but he in his life verified the saying of Tulsidas that 'all becomes right for the brave'." The website has been posting documentary evidence of the activities and movements of Bose in the last days of his life in an attempt to counter years of speculation over his death.